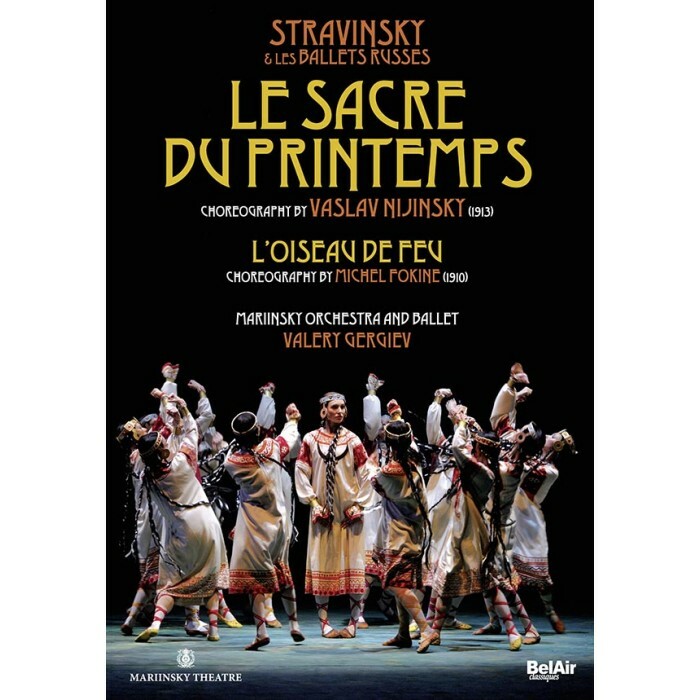 In celebration of the creation of Le Sacre du printemps (Rite of spring) in Paris in 1913, a new edition in a DVD-book of a wonderful Stravinsky night at the Mariinsky (ex-Kirov) with the original Nijinsky version of the Rite of Spring and the Firebird both conducted by Valery Gergiev. 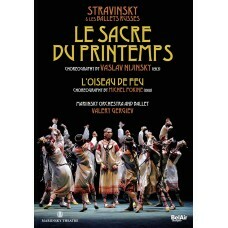 The premiere of The Rite of Spring at the Theatre des Champs-Elysees, Paris, on may 1913 caused a veritable scandal. The audience was shocked by the primitive violence of the ballet. It was so radically rejected that the ballet was taken off after eight performances. Although long forgotten, thanks to the relentless work of Millicent Hodson, Nijinsky's original choreography was recreated. The Firebird is a russian folk tale in two scenes commissionned at the young Stravinsky by Diaghilev and premiered at the Paris Opera House in 1910. The ballet was an immediate success. The Ballets Russes enabled The choreographer Fokine could bring his enterprise the right amount of novelty needed to captivate but not clash with the audience. It was a total succes.